The loss of a beloved pet is one of the hardest things an animal lover ever has to experience. The loss of a pet is accompanied not only by grief but also often by feelings of guilt. This seems especially true when it is necessary for a pet owner to euthanize a pet. Most times, the guilt is unwarranted but that doesn’t stop us from feeling it. There’s always that small nagging doubt. “Could I have done more?” “Would it have made a difference if I’d done this or that differently?” We can’t keep those types of thoughts from entering our heads even when we know the decision was the right one. And even when the pet’s death is a natural one, that doesn’t stop us from grieving, or from doubting and feeling guilty. In addition, many pet owners dealing with the death of a pet feel isolated and alone. All too often, we hear comments from others that, though well-meant, make us feel even worse and even more isolated. Comments like “He was only a dog” or “You can always get another pet” are common. Unfortunately, getting over the loss of a pet is not an easy process. We grieve for our pets in exactly the same manner that we would grieve for a lost family member or friend. And, in most cases, we grieve just as deeply, sometimes even more so. Our pets provide us with unconditional love and companionship. 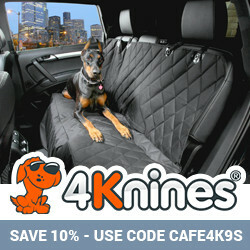 For many pet owners, our pets are as much a part of our family as our spouse or our children. Why, then, is it surprising that we should grieve for their loss? Everyone handles death in a different manner. People grieve in different ways and for varying lengths of time. Often, even when we think we are recovered from the loss of a pet, something unexpected will remind of the pet and the feeling of grief and loss will return just as strong and fresh (and hurtful) as the initial loss. While the grieving process may be painful, it is necessary to move through the different phases of grief in order to recover from the loss of your pet and move on with your life. To do otherwise is unhealthy, both mentally and physically. But how do you do that? What are the phases of the grief process and how do you move through them? How do you even begin to recover from the death of a pet that you loved? Gael J Ross, author of A 30 Day Guide to Healing from the Loss of Your Pet, talks this week with our own veterinarian, Lorie Huston, about pet loss. In the interview, these questions as well as many others are discussed. 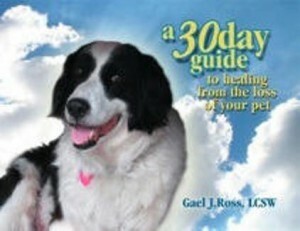 Gael speaks not only from her experience as a therapist but also from personal experience in dealing with the loss of her own beloved pet. She provides some excellent advice and a unique perspective. Don’t forget to join us again next week. 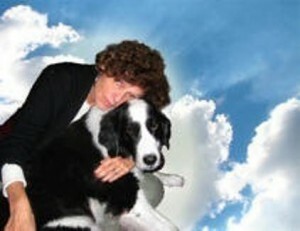 Our travel correspondent Edie Jarolim will be here with another great guest and more wonderful pet travel tips. This entry was posted in Leadership/Motivation/Counseling, Lorie Huston, Pet Health and tagged death of pet, grief for pet, pet loss, pets on October 31, 2011 by Lorie Huston, DVM.